In this detailed comparison story, we put KTM Duke 125 Vs Yamaha R15 V3 to test, based on their specifications. Both are performance bikes with a similar pricing range. 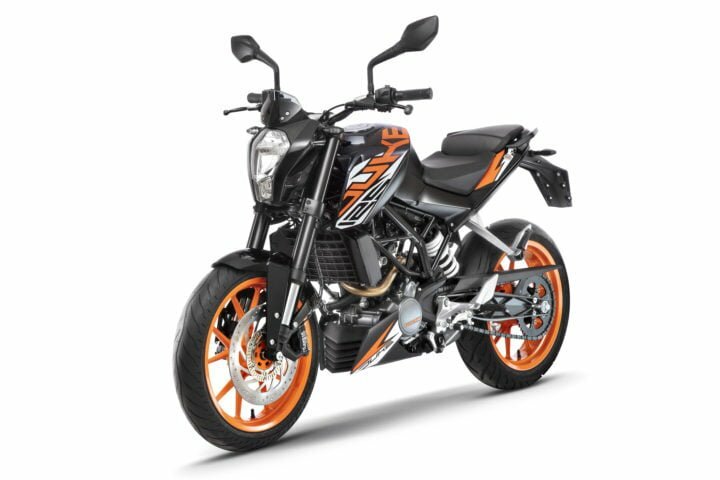 KTM just launched its baby naked motorcycle, Duke 125 in India. Till now, it was made in India but exported for the global countries. It gets the same styling and bodywork as its elder siblings, but with some less technology. KTM Duke 125 competes with the likes of Yamaha R15 V3, TVS Apache RTR 200 4V and Pulsar NS200. All of these bikes come in a similar pricing range, but with different engine capacities. 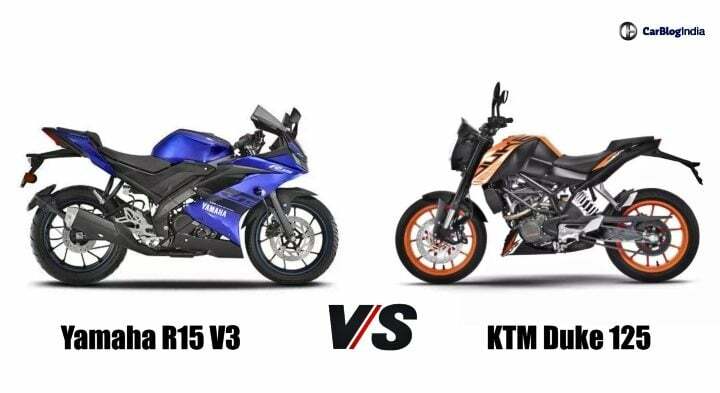 So, here we put KTM Duke 125 Vs Yamaha R15 V3 for a detailed specification comparison. Both are entry-level performance bikes in India, with more power than bikes of their same engine capacity. Duke 125 is priced at Rs 1.18 Lakhs, which is Rs 7,000 cheaper than R15 V3. The Moto GP variant of R15 goes out for Rs 1.3 Lakhs. Duke is capable of producing 15 BHP of power and 14 Nm of torque, paired with a 6-speed gearbox. The bigger Dukes are known for really quick shifting gears and are a bit problem in the city’s stop and go traffic. Duke motorcycles are best known for their stint on a clear highway. R15 V3 has a bigger engine, which produces 19 BHP and 14.7 Nm. It also uses a 6-speed gearbox. Also, R15 comes with VVA system, which helps in delivering torque at the low and mid-range. This system also keeps a check on the mileage and helps in maintaining it. 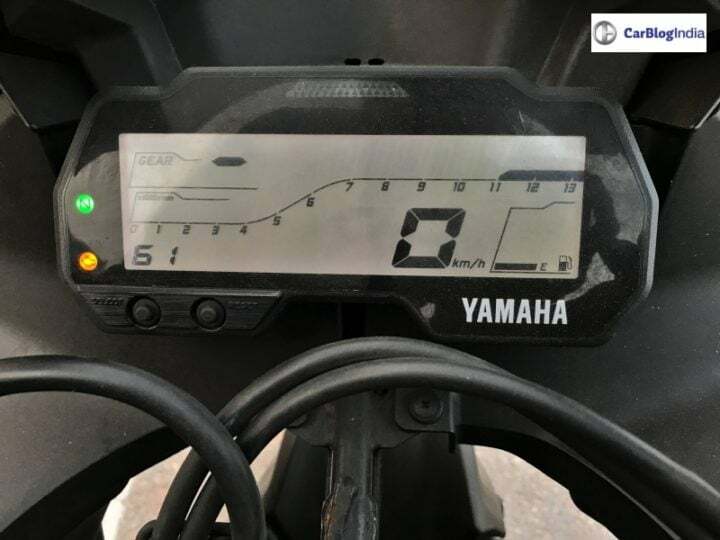 As per our expectations, Duke will deliver a real-world mileage figure of around 48 kmpl. On the other hand, we have tested the R15 V3 and it has delivered an average of 50 kmpl. Duke 125 comes with safety equipment, that includes front and rear disc brakes with ABS. KTM provides all of its bikes with ABS as standard. 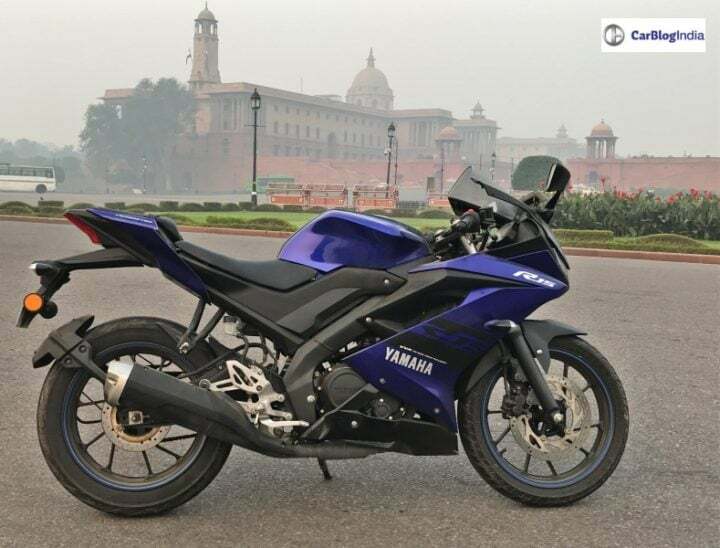 On the other hand, R15 V3 comes with front and rear disc brake with the lack of ABS. Yamaha says that it will update the bike soon, but till then it is missing out on a really important feature. Also Read: Here is how the new KTM Duke 125 sounds! 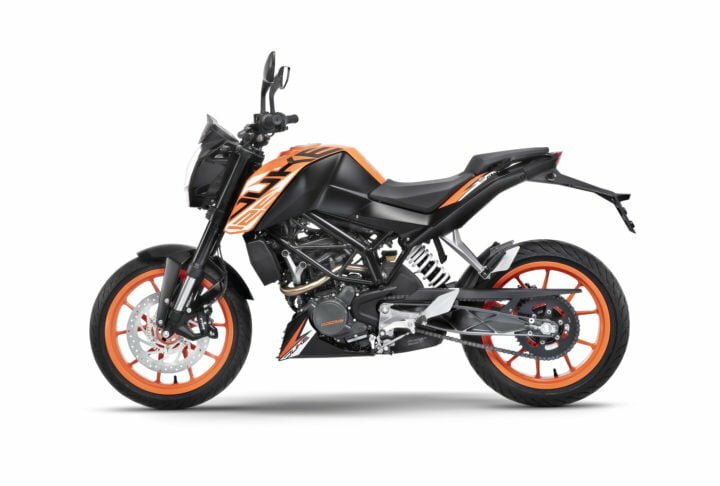 For suspension purposes, Duke 125 comes with upside down Telescopic forks at the front and Mono-shock absorbers at the back. The same Steel Trellis frame from the elder siblings is equipped in this one. On the other hand, R15 V3 still uses conventional telescopic forks. 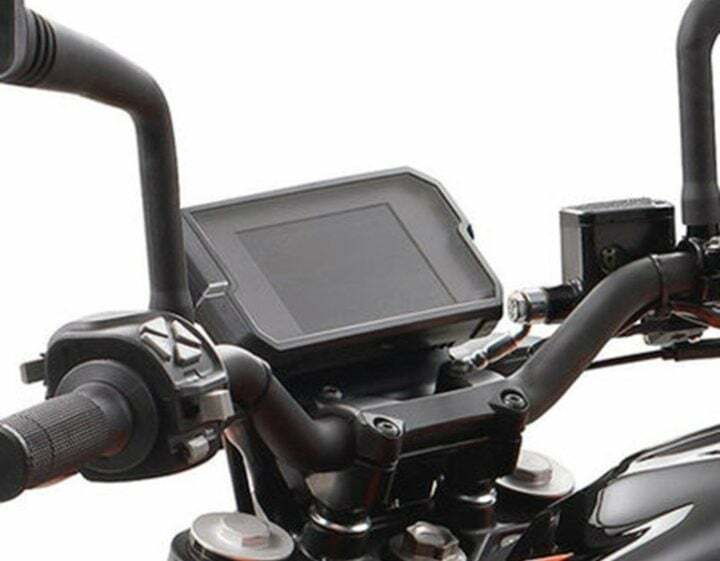 It comes with a link monoshock suspension at the back. 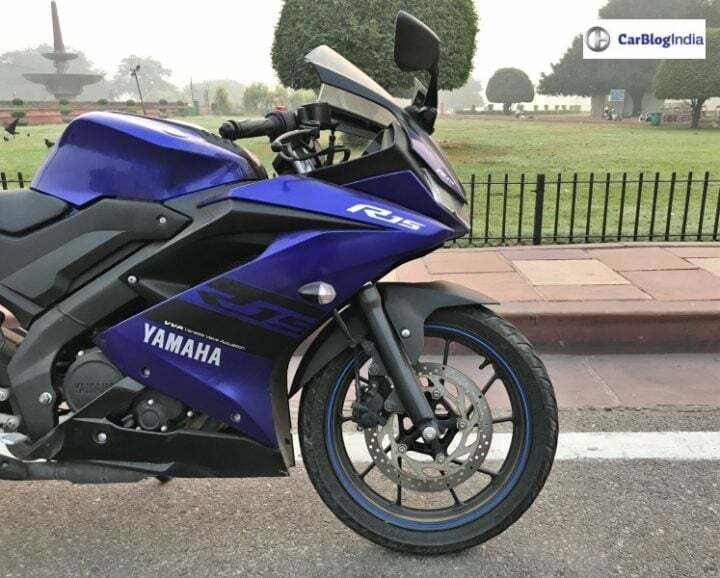 R15 uses the Deltabox frame, which comes in all Yamaha sports bikes. Both the bikes have the same weight of 137 kgs. While the Duke has a taller seat height at 835mm, it also gets a better ground clearance at 185mm.